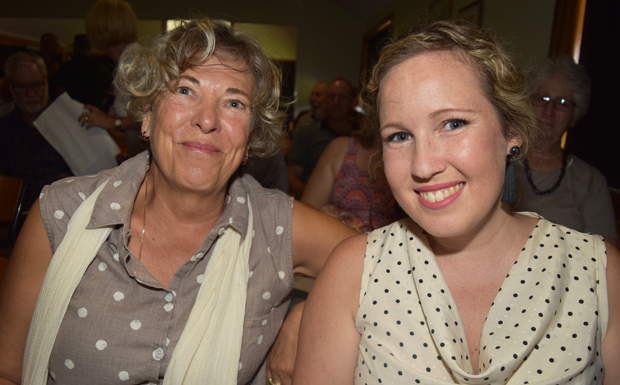 No representatives from the South Burnett Regional Council were present at Sunday’s meeting. However, Mayor Keith Campbell, above, told southburnett.com.au on Monday that Council would support the concept of a Dark Sky Park – at the Bunya Mountains or elsewhere in the South Burnett – but the initiative would have to be led by the community. “The information and level of understanding that we as a Council have now is vastly more than we were privy to when this whole thing started off 12 months ago,” he said. “We would encourage this new initiative but won’t drive it. Mayor Campbell confirmed that Boondooma Homestead was one of the other areas that had been mentioned. “The uniqueness about the Bunya Mountains is not because the skies are any darker there than in many other parts of the South Burnett, including Boondooma,” he said. But if the community desired to have the Bunya Mountains accredited, the SBRC would also have to have discussions with Western Downs Council, the other Local Government which has responsibility for a section of the mountains. Mayor Campbell said he understood the position of some Bunya Mountains residents who did not want more tourists visiting the mountains. “Council is not going to force this down anyone’s throats,” he said. “It needs to be community driven. 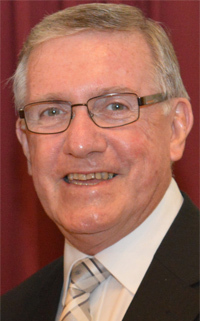 Mayor Campbell assured residents the South Burnett Regional Council would not be spending ratepayers’ funds on an “expensive Light Management Plan” that only one business proprietor was likely to achieve any benefit from. Proponents of the nomination say it would minimise light pollution, protect the natural environment, enhance tourism opportunities and possibly increase property values. However, opponents say the decision to reject the idea has already been made … at a meeting called by the Bunya Mountains Community Association in November where a majority of the 50 or so people in attendance voted “no”. 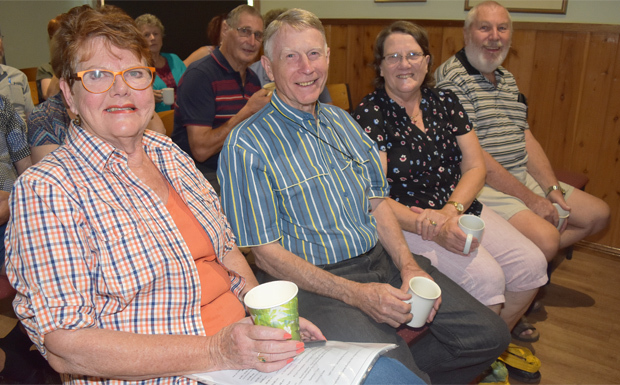 Sunday’s meeting, which was held at the Bunya Mountains Accommodation Centre, attracted about 75 residents. It was an attempt by supporters of the Dark Sky proposal to provide more information to local residents about the concept – and the meeting was videoed so residents who could not attend could see what occurred. Attendees were told at the outset that the original proponent of the Dark Sky accreditation idea, Kingaroy astronomer James Barclay, was no longer associated with the proposal. However, enthusiasm for the concept was strong among the guest speakers: Local resident Donna Glass; Wayne Fossey and Shannon Bauwens, from the Bunya Peoples Aboriginal Corporation; Dr Ken Wishaw, from the Brisbane Astronomical Society; local property owner and ecologist Bruce Thompson; and Marnie Ogg who was instrumental in gaining Dark Sky Park accreditation for the Warrumbungle National Park in NSW (the only place in Australia to have accreditation). 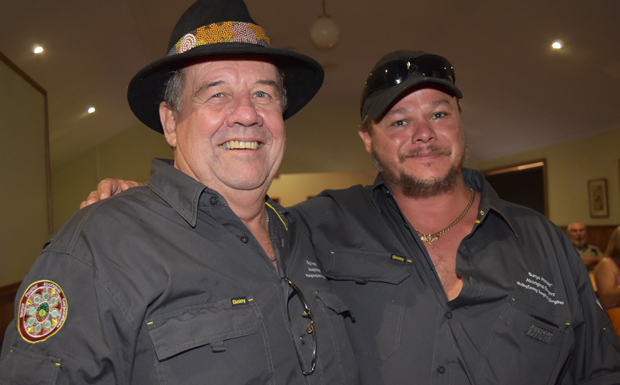 John Learmont, chairman of the Bunya Mountains Community Association, was also invited to briefly outline what had occurred at the November meeting and he again emphasised the majority had rejected the proposal. Ms Ogg – a former manager of the Sydney Observatory and a 2018 winner of an International Dark-Sky Association Defender Award – told the meeting the International Dark-Sky Association (IDA) was part of a global movement to protect the night skies. She said very little would have to be done at the Bunya Mountains to achieve formal accreditation with IDA as there were no lights within the actual National Park, and the accreditation could be limited to the park’s boundaries. However, if the houses and commercial areas were also included, there would be changes necessary to some exterior lights – which, it was suggested during the meeting, would actually make the area safer for both visitors and wildlife. Ms Ogg said four designated Dark Sky activities would also have to be organised every year, but these could be as simple as a holding a dinner under the stars. Less enthusiasm for the nomination was shown from some questioners from the floor who suggested there was nothing to gain from international accreditation as visitors – and tourism operators – could achieve the same benefits now. The idea of an international organisation telling people what they could and couldn’t do also rankled some residents. There was also concern that marketing the Bunya Mountains as a Dark Sky Park could attract more visitors than the mountains – and connecting roads – could handle. Then there was the cost. Although Ms Ogg suggested existing Light Management Plans written for the Sunshine Coast or Siding Spring could be adapted at little cost, a figure of $20,000 or $25,000 – mentioned by a Council representative at a previous meeting – was raised several times from the floor. The meeting broke up without taking a vote on the proposal, or forming a committee to consider the matter further. What Is A Dark Sky Place? The International Dark Sky Places Program began in 2001 to encourage communities, parks and protected areas around the world to preserve and protect dark sites through responsible lighting polices and public education. The program is managed by the US-based International Dark-Sky Association (IDA) which has established strict criteria for a place to be accredited as a Dark Sky Place. There are more than 100 certified International Dark Sky Places in the world, including one in Australia and three in New Zealand. The original idea to nominate the Bunya Mountains as an International Dark Sky Place was put forward by astronomer James Barclay, from the Kingaroy Observatory, at a meeting held at the Bunya Mountains in January last year. 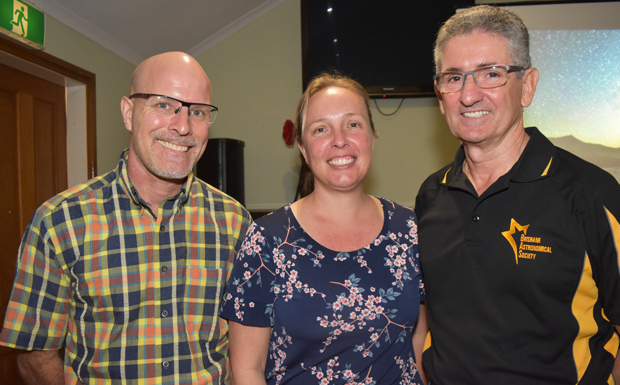 Representatives from a number of businesses based on the Bunya Mountains, as well as South Burnett Regional Council’s senior economic development officer Craig Tunley, were present. Also in attendance were representatives from the Western Downs Regional Council, Queensland Parks and Wildlife Service, Burnett Mary Regional Group and Indigenous groups. Local resident John Learmont, who attended in his capacity as a representative of the Bunya Mountains Natural History Association, told southburnett.com.au he asked after the presentation why no residents had been invited. “I was told there would be a meeting with the residents and landowners at a later date,” Mr Learmont said. In October, Mr Barclay contacted the Bunya Mountains Community Association and a meeting of Bunya Mountains residents was organised. This was held on November 15. About 40 people attended, including residents, property owners and Cr Gavin Jones, from the South Burnett Regional Council. From all accounts it was a lively meeting with many questions asked. A decision was made to seek more information. The meeting reconvened a week later on November 22. This time, about 50 people attended, including South Burnett Mayor Keith Campbell, CEO Mark Pitt, Cr Jones and Mr Tunley. Residents heard that Council had not committed any funding for a Light Management Plan which would be a key component to achieving the Dark Sky accreditation. However, Mr Pitt and Mayor Campbell said they would respect any decision made by the community. A vote was then taken to reject the proposal, which Mr Learmont said was “carried without dissent by a show of hands and a substantial majority”. But this vote then prompted a reaction from other Bunya Mountains residents who have told southburnett.com.au they either did not know this meeting was taking place or could not attend – including several who own properties on the mountain but are not full-time residents. This prompted the desire by local residents Sue Unwin and Donna Glass, supported by landowner Bruce Thompson, to organise Sunday’s meeting. Mr Thompson also launched an online petition in support of Dark Sky Park accreditation. Footnote: The one thing that everyone at Sunday’s meeting seemed to agree upon was the need for the State Government to be investing more in protecting and looking after the Bunya Mountains National Park. I am a long-time property owner on the Bunyas who has never, until two days before the recent Dark Sky meeting, been approached by anyone from the Bunya Mts “Community” Association to take part in meetings of the Community Association. There are some 100+ holiday rental houses on the Bunya Mts and a very small number of permanent residents who seem to claim that they alone represent the “community” of the Bunya Mts. It seems pretty clear that the Community Association has made little serious effort to communicate with property owners who do not live full-time on the mountains yet who consider themselves stakeholders in matters relating to the mountains. This small detail did not prevent residents at the recent meeting repeatedly asserting that a “decision” had been made already. It would seem pretty basic for a group calling itself a “community” association actually seek to involve all stakeholders before passing motions (based on very one-sided factual material, by the way) about matters that affect the whole community. I suggest you ask Mayor Campbell where he derived the “only one business proprietor was likely to derive benefit” from the Dark Sky proposal idea came from. For a start, there are two tourism-related holiday rental operations on the Bunyas, both of which operate cafes/restaurants which employ staff. There are well over 100 rental properties on the Bunyas, all owned by investors. Many people work as cleaners, wood suppliers, gas suppliers, tradespeople etc. A local operates horse-drawn wagon tours. The propaganda from the tiny “permanent residents association” that only one business would benefit from Dark Sky accreditation is dishonest. More significantly is the apparent approval by Mayor Campbell of a “no more tourists” policy for the Bunyas.